S.A.D. is not something I am making up. It is celebrated on Feb 14 and the color associated with this event is green a.k.a the opposite of red or sometimes black. It is part of a movement away from the commercialization of Valentines day. It is an event that is growing in in it’s popularity as the world is getting more, well, single. 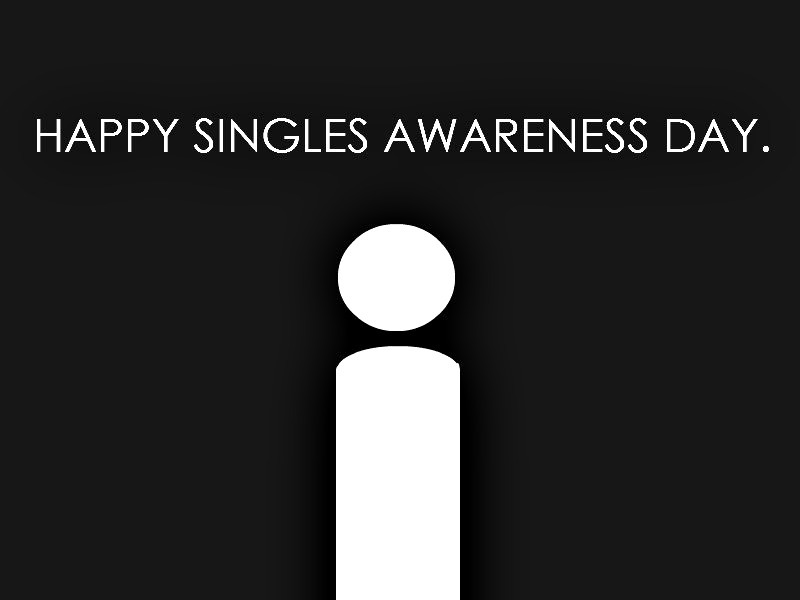 Single people will gather on this day at parties and celebrate or commiserate their single status. For many it will be a public display that you do not have to be in relationship to truly enjoy and celebrate life. That said, who doesn’t want to be going out to dinner or receiving chocolates and flowers on Valentines Day? While I agree it is better to be single than in the wrong relationship, we are created for relationships. Deep down, all of us are more fulfilled in a loving, healthy and intimate relationship. It is not that you cannot be happy being single, but life is just richer, when you have that kind of relationship with someone special in your life. Work is like this too. You can do something that is a pretty good fit and meets your financial and social needs. But work takes on a whole new meaning when you find something that you can give your heart, soul and mind to. When you find that “someplace” special, your life can be richly rewarded and the rest of your life improves, including your relationships. Professor Hughes & Galinksly identified in their research a direct correlation between work fit and the impact on our most intimate relationships. If you had a role that was both challenging and engaging and was within a healthy work environment, you will experience a much higher level of personal relationship satisfaction. And that my friend, is why I do the work I do. CareerClass Webinar | Leadership Begins with You! Thurs Feb 14 12-1 PM. Whether you are looking to become a leader or you need a “tune-up”, join this complimentary 1 hour webinar. Your career & your boss will thank you! Click for more details & to register. In love, along the road with you!